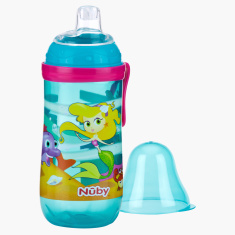 Nuby Printed Sipper with Spill-Free Spout and Lid - 360 ml | Blue | Non-Spill. 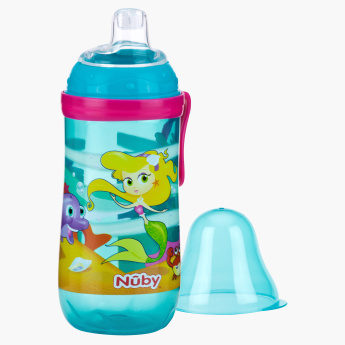 Make the transition from bottle to sipper easier for your child by getting this BPA-free sipper. This non-spill sipper is easy to hold and offers a comfortable grip. The soft spout offers effortless sipping while the lid protects the spout from getting contaminated.